Hundreds of rocks bands are disembarking at Bergstrom airport, and like the huddled masses at Ellis Island, they are yearning to breathe the air that is a non-existent SXSW record deal. As a rock fan, it's a bit overwhelming to know that there are so many bands in town that you know nothing about, but still hold the possibility that one could be your new favorite band - the FOMO is strong in this regard. Luckily, we've gone ahead and sifted through the sands for you, so that you can enjoy these gems we've found without the audial self-flagellation that we've inflicted on ourselves. 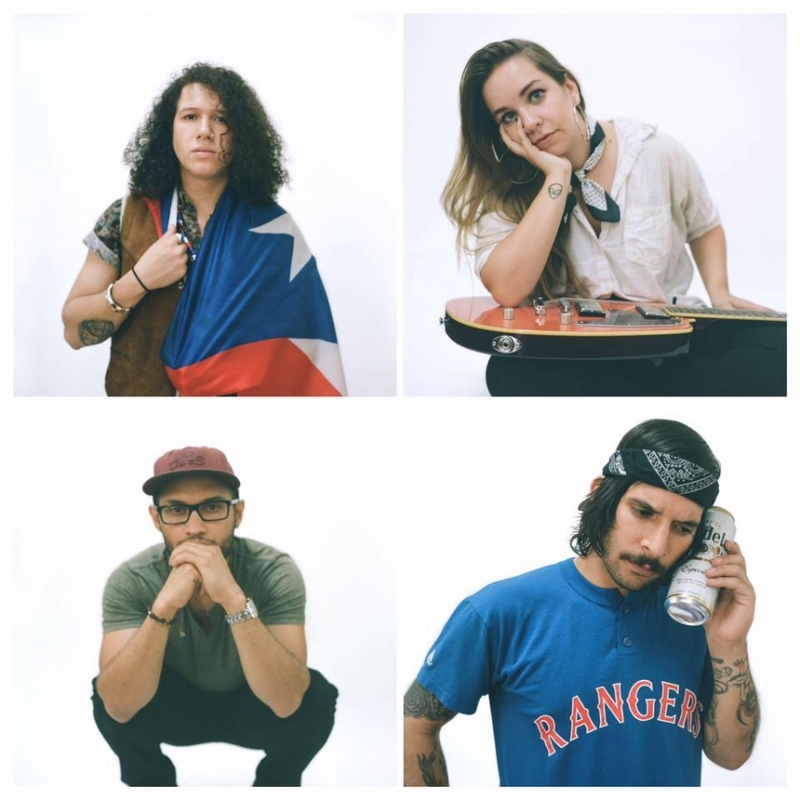 Here are ten rock bands that are worth a trip into Downtown Austin for. Swirling guitar hooks, off-kilter drumming, Yo La Tengo-y backing vocals, Mute Swan feels like a less jittery Of Montreal or an extension of Soft Bulletin-era Flaming Lips. Their up-to-the-moment, artful psych lifts you to a dream-space desert and wraps you up in reverb and reassurances. Irrepressible, loud, direct, fuzzed out — Stuyedeyed are an unhinged skull rattling atop a spine, snapping to intensity and directing your attention to our reality, right now. Bizou is the sum of it's parts: propulsive post-punk bass + wall of sheeny shoegaze guitars + shifting scales of synths + the propulsive rhythms of darkwave -- all fused together with dreamy vocals ala' Curve, Cranes, Garbage or PJ Harvey. Giungla is Italian artist Ema Drei. Bringing together atmospheric electronics with Ema's guitar work, in turns artfully angular then brashly anthemic and with her passionate vocals - her music is riotous exuberant indie-pop. as dazzling, tricky and bursting with life as the 'Jungle' she named herself after. Gustav and Vanilla met when he saw her DJing at an underground club in Norrköping and was blown away by her set. Introductions were made, songs were swapped online and they decided that their shared musical taste made collaboration seem a worthwhile endeavor. Beshken effortlessly coalesces elements of indie, experimental dance, ambient, psychedelia and dream-pop. Rev Rev Rev remetabolize shoegaze and psych rock elements in a loud, woozy, fuzz-driven sound. Warmduscher are a group of miscreants, known only by aliases, but we know Saul Adamczewski (Fat White Family) is the main instigator. Ardent fans, Iggy Pop and Marc Riley have only gleaming praise to heap on the band, and in return, Warmduscher have blessed them both with immortality. Stuyedeyed is an alternative worldview presented through noisy and loud psych-rock, led by Nelson Antonio Espinal's exuberant blues-inflected vocals. 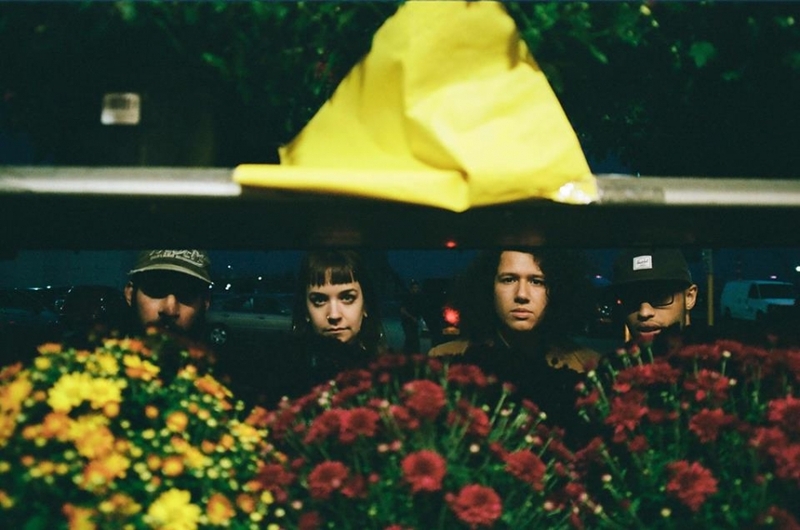 Their music is grounded in the punk DIY scene and the NYC garage tradition, and their personal revolt against the disingenuous and the gentrified shines through with each howl of rage. With fuzzy layers so thick you can practically wrap yourself up in them, the Brooklyn-based band delivers a serious '70s guitar rock feel and loads of lo-fi goodness. Our sister blog Delicious Audio managed to catch Nelson before their three week February tour to ask him a few question about gear. NYC is filled with garage rock bands, but few of them bypass the huge influence The Ramones have on the city's sound, to find inspiration, instead, in the proto-punk of the genre's true pioneers: Iggy Pop's The Stooges. Like them, Brooklyn's own Stuyedeyed, who recently won this very blog's Best of NYC Readers' Poll in the Garage Rock category, have a sound that's not only in your face, but that's also (figuratively speaking) making faces, while starring grimly at you, inches from your nose. Single Mr. Policeman (streaming below) gives you an idea of what kind of wildness you will witness on February 18, when the band will take the stage at Alphaville with Bambara (another tense band!) and Pink Mexico. Check out the recent video for Stuyedeyed track 'Funeral,' below. Our Best of NYC 2017 poll has begun last week with the Garage/Slack Rock category and, after you-the-people cast your vote, we have the results to share with you! We are superproud of these two NYC bands, that offer high octane garage rock inspired to completely different periods of the history of this genre. 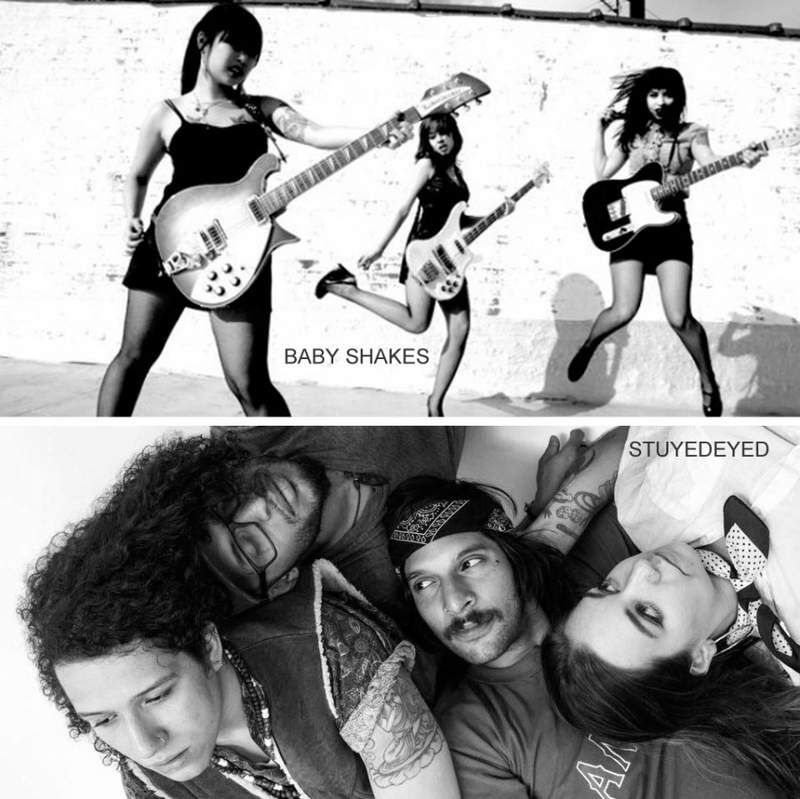 Stuyedeyed, with their insanely tense, obsessive tracks and screamed vocals, refer back to the proto-punk days of The Stooges, full of madness and debauchery - you can see them live at Alphaville on February 18th. Baby Shakes, on the other hand, find inspiration in the melodic garage rock of NYC's own The Ramones, infusing ultra-fun surf and doo-wop elements in it. Baby Shakes will be playing W'Burg Hall of Music on February 14th and then embark on a Japan tour in March. Honorable mentions go to Navy Gangs (second in the overall chart) and Thick (third in the Reader's poll). The full list of nominees can be found under the streaming tracks.